It is with mixed emotions that I write this email. 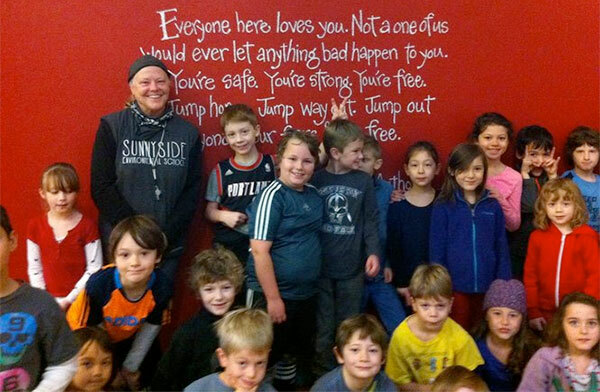 After 33 years as a teacher, Dian Christensen, our beloved PE teacher, has made the difficult decision to retire at the end of this school year. It’s impossible to capture the depths of my own emotions about this, especially in an email. I love and adore Dianâ€”she’s my friend, my colleague, my mentor, and I am so fortunate to have her in my life. I know that many of youâ€”and many of your childrenâ€”feel the same way. We are planning a school surprise for Dian, with more information to come about this in the next few days. In the meantime, please see the attached letter…written by Dian to the community at large.